Rent is back on the Vancouver musical scene thanks to local theatre company Fighting Chances Productions. I had the chance to take a look at the first sneak preview last Friday night of the musica at the Waterfront Theatre on Granville Islandl. I had previously watched it in 2009 when Fighting Chances Productions first put it on and was excited to hear the company was doing the production again. Rent tells the story of a group of friends whose lives collide on one Christmas Eve where their interactions will alter lives forever. The following year sees the friends break up, connect and ultimately learn to live in the face of adversity, poverty and disease. The music is catchy and contemporary, and once you’ve seen it once, the music will bring you back time and time again to watch this musical. Although a bit different from when Fighting Chances Productions put on this musical in 2009, I still loved all the scenes, music and singing. The stage is a bit small and seemed crowded at times during the full cast scenes, but the utilization of the set was really well done for the different scenes. I was extremely happy to see that Jenn Suratos, who plays Joanne, came back from the 2009 cast. She has a strong voice and plays the part superbly to Chelsea Tucker’s Maureen. The duet, Take Me or Leave Me, in the musical was my favorite of the night. After the show, Ryan Mooney chatted and thanked guests for coming and noted that some of the props/costumes used in this musical was from the original Broadway production. There was also quite a few memorabilia showcased at the box office from the original Broadway production and various versions of it, including programs, signed posters, ticket stubs, etc. If you have a chance to check out this production, go do so ASAP! Tickets are assigned seating, so by purchasing tickets online through Tickets Tonight, you’ll get a better seat selection, although there’s not really a bad seat inside the Waterfront Theatre. Rent plays at the Waterfront Theatre at 8:00pm from July 19-August 5 (with previews from July 13-18, followed by the official opening night on July 19). Evening shows Tuesday-Sunday at 8pm with matinees starting July 21st at 2pm on Saturdays and Sundays. Tickets range from $15 to $40 and are available at the door, online at http://www.ticketstonight.ca, or by calling 604.684.2787. For more information, visit http://www.fightingchanceproductions.ca. 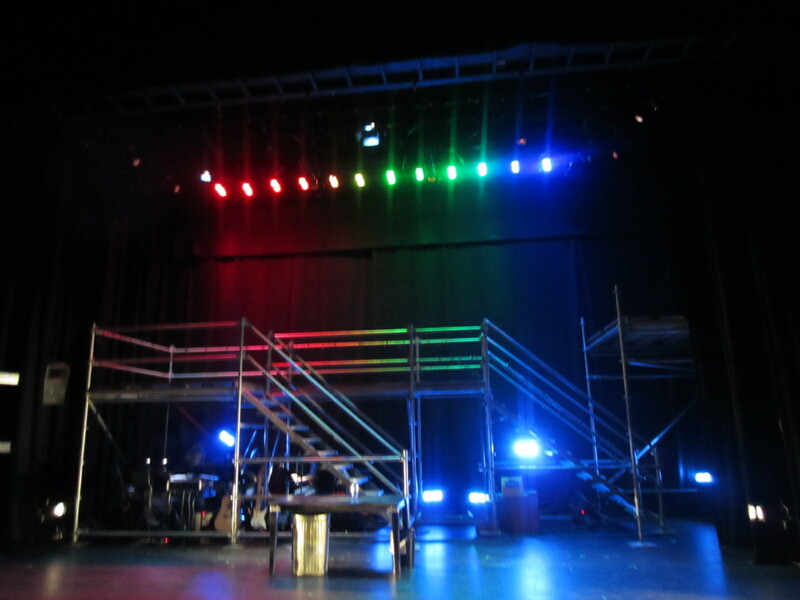 FCP is also on Twitter @F_C_Productions and for those tweeting about Rent, use hashtag #FCPRent.